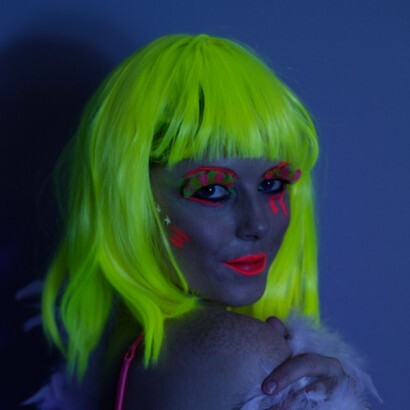 A short UV neon bob wig with blunt fringe that's UV reactive and so lights up under UV or blacklight. 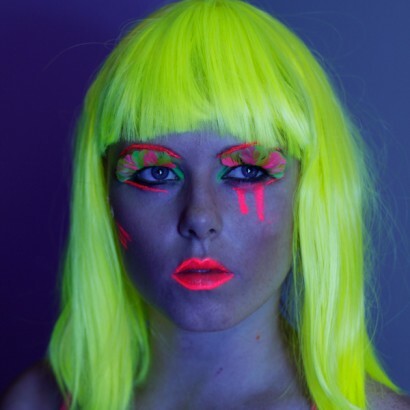 Make a dramatic entrance in colourful UV! UV reactive so that you'll glow under UV blacklight!